Although the "PWS region" on chromosome 15 is well defined, it's still unclear how loss of this set of genes leads to the symptoms of PWS. Typically, there are several genes in the PWS region that are lost or inactivated in people with PWS. Teasing out the relative contribution of each of these genes to the spectrum of PWS symptoms will help prioritize and guide therapeutic development. 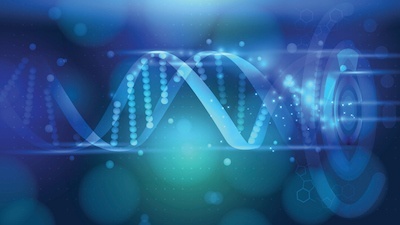 Michael Talkowski, PhD, and his team at Massachusetts General Hospital are working to define these links using a cutting edge technology called CRISPR. The project, CRISPR-mediated 3D modeling, molecular dissection and epigenetic profiling of PWS, is supported by an FPWR grant. Using this approach, the Talkowski lab will engineer a panel of cell lines, each with inactivation of a single targeted gene in the PWS region. The cell lines will be identical in every other way, except for the single gene inactivation. Moreover, these cell lines will be grown such that they exhibit the characteristics of hypothalamic neurons, a region of the brain that plays a critical role in PWS. Using molecular techniques, Dr. Talkowski's group will compare this panel of cell lines for differences in gene expression and cellular function, compared to typical cells. The results of these studies will help provide information needed to make specific connections between the loss of each gene in the PWS region and the symptoms of PWS. This panel of cells will also be a valuable research tool for future investigators in PWS research, including high throughput drug screening.